TRB Teachers Recruitment Board conducted the PGTRB 2013 on 21.07.2013. 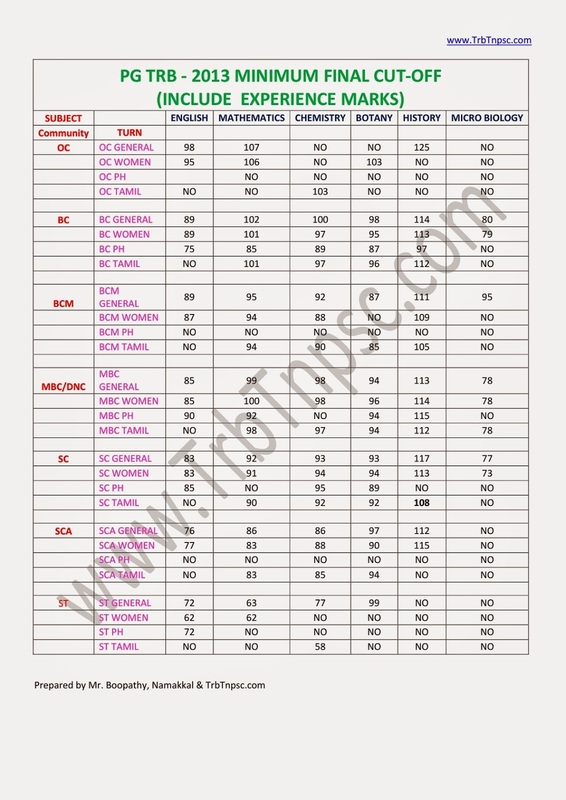 The Result was published on 7.10.2013. So many cases were filed against the key answers. Finally after the judgement by the court revised key answers based evaluation on the basis of the final key answers pgtrb cv ( Certificate Verification ) was conducted for the selected candidates. According to this final selection list the cutoff marks are prepared . 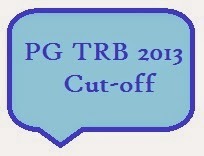 This pgtrb cut off marks will help the candidates who prepare the PGTRB 2014 for the next year. Also this pg trb cut-off will helps to second list call for postings in PG TRB asst.